These clinic notes are from when Frank Martin spoke in 2014. Coach Martin is the head men's basketball coach at the University of South Carolina, and is in his 3rd year with the program. 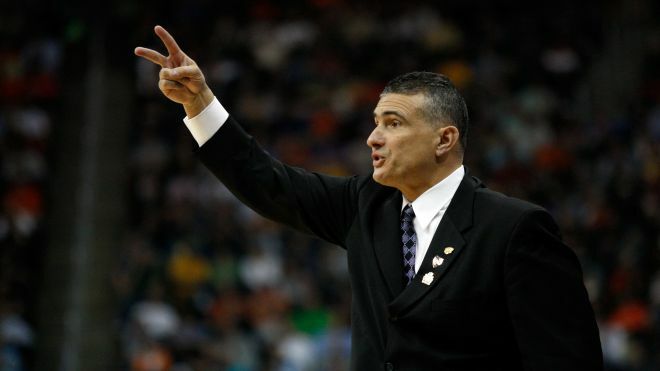 Before coming to South Carolina, Frank Martin coached at Kansas State University for 5 years. Coach Martin has also spent time at Cincinnati University and at the high school level as well. For Offense Rebounding purposes his 3, 4, & 5 must get to the opposite block of the shooter. 1 & 2 must fill each elbow. Uses 2-red shirt football players early in the season to set screens. That way his guys see how to set them and guards learn how to get through anything.